Fred Kempster, is known as the English Giant, the Avebury Giant and the Bath Giant, but to many Blackburnian's, he will always be, the Blackburn Giant. Fred was born in Bayswater, London in 1889. He was the second youngest of seven children, having three sisters and three brothers. His brothers and sisters were all of relatively normal height (slightly taller than the average) and so was Fred until the age of 15, when he really started to outgrow all around him. By the age of 19, he measured 7' 11''. Fred's father died on Christmas Day 1897. 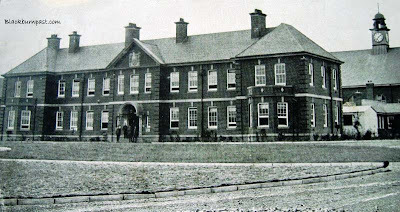 His mother tried her best, but couldn't afford to hold the family together, so in September 1898, nine year old Fred and his younger brother George (3 yrs), were admitted into a Barnardo's orphanage. Soon after, Fred was sent overseas to Canada, where he stayed with various families, until returning to the UK, when he was 15. Colin Alexander-Jones, who did extensive research into Fred's life, tells us that he was a basket maker by trade and also had a remarkable sporting memory for anything connected with racing, football, but particularly cricket. He records that he was also a good swimmer and a clever comedian. When the war broke out in 1914, Fred (now 25) was on tour, with a circus in Germany. Being a British national, he was interned by the authorities and held prisoner for the next 2 years. It is believed that due to a poor diet and terrible living conditions, whilst a prisoner in Germany, Fred's health deteriorated significantly and when he returned to our shores in 1916, he was already in relatively poor health. 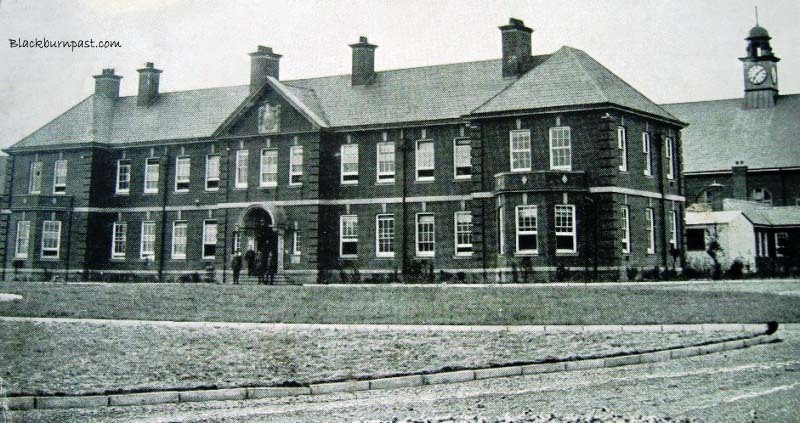 He spent a year in a London hospital and then on release, continued to tour here in the UK and it was while appearing as a sideshow attraction, as part a travelling fair, he contracted influenza here in Blackburn. 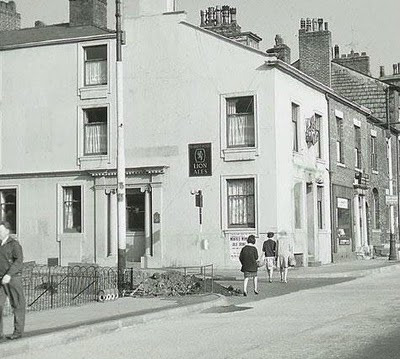 It later developed into pneumonia and Fred had to be moved from his room at the Haymarket Hotel, on Ainsworth Street (photo below), to Queens Mary's Military Hospital ( Calderstones near Whalley - photo below), were he died, aged just 29 years, on the 15th April 1918. Fred Kempster was buried in the Whalley New Rd Cemetery, where he remains to this day, which is why he will always be to locals, the Blackburn Giant. There is debate as to just how tall Fred was. Historians have proof, that he was at least 7'11'', but a decade or so ago, the undertaker's daughter, swore that her father had always insisted that the corpse measured just over 8'4''. The coffin he made for Fred was 9 feet in length (internally) and as coffins were made to have just a couple of inches of space at either end, it lends some weight to the undertaker's claim. 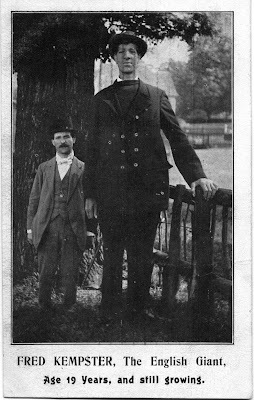 7' 11'' or 8'4'', Fred was indeed a giant. Rest In Peace Fred and on behalf of every school kid, over the past 90 years, that ventured up to visit your grave or was fascinated by the tale, THANKS. HERE'S A LINK TO AN ARTICLE ABOUT HIS UNDERWEAR. It's strange that if Freds parents were as poor as we are led to believe that they could actually afford to have a Photograph taken of him and his Brother as photographs were an expensive luxury in those days. But I agree with you Colin, Fred was an integral part of the 20th centuary history of Blackburn to many people of a certain age. I bet if you asked any youngster or even someone in their 30's or 40's today, they wouldn't have a clue about him. His parents didn't pay for the photos John. They belong to Barnardo's Homes. They will have been taken by the chariry when Fred & George were admitted to the home, as part of their records. George's grandson James, got access to Barnardo's records in 1988, which contained quite a bit of info about Fred's parents and the rest of his immediate family. No need to guess, his name is above the posting and there's quite a bit of information below the photos. Hello: I think I might as well correct another error concerning Frederick Kempster's family. Frederick was the second youngest in a family of seven children. My grandfather George was the youngest, born just two years before their father Joseph died. There were three girls, Emily, Ruth and Susan, and four boys William, Joseph, Frederick, and George in the family. 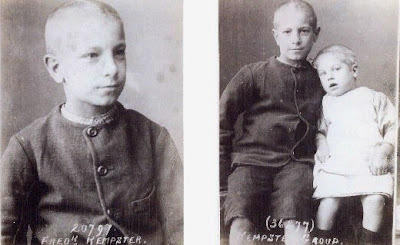 If the living Kempsters are any indication, Frederick's siblings were probably considered tall by ordinary folk. Many of the women in our family stand six foot tall. 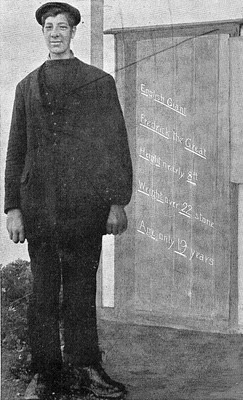 In a medical interview around 1917, Frederick thought his father stood 6 foot 2 inches. My father stands 6 foot 4 1/2 inches, and I stand 6 foot 5 inches tall. Too bad the census records weren't more detailed!! Finally, the idea that Frederick was a sportsman must be fantasy. From the age of 13 or so, he was lame in his left leg, and medical records show that the muscles were weakened. Still, it's nice to think that he is still remembered after all these years. All the best, James Kempster, great-nephew of Frederick. I don't know personally, but perhaps someone else will answer that question for you (in time). Hello James, thanks for the additional information. I will of course amend the text. I got the information about Fred liking sports from Colin Alexander-Jones' book. He doesn't suggest that Fred was a sportsman, nor do I, just that he had a remarkable memory for all sports and that he was a good swimmer (he would still be able to swim, even with a lame leg, you would think?). 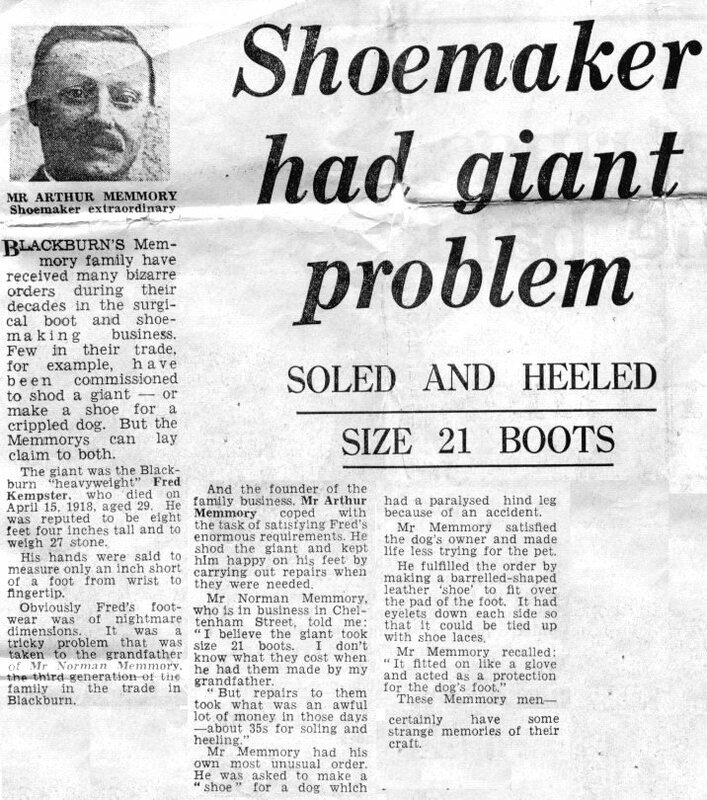 Fred is well remembered here in Blackburn and his tale (admittedly containing errors) resurfaces once every few years in the local press. I'm sure kids still wander up to the old cemetery to see his grave, just as I did 40 years ago (and a few times since) and long may that continue. Hopefully, this posting will help encourage others to visit too. Thanks for the info. Now amended. Hi - Thanks for the link, an interesting site / blog. I've seen the two photos before, on the 'Tallest Man' site or somewhere. Cheers !